Comments: Edwin Howard (Nee: ) | PA United States | | Comments: Back row L to R: Sam Poet, Walter Trastle, Beatrice Howard, Clara Rice, Dennis Rice, Louella Hawkins, Clara Nickles, Aunt Lina Howard, Aunt Laura Trastle, Cora Howard Witmer, aunt Ora Howard, Aunt Sadie holding richard, Uncle Harry Bertram Howard, Uncle Edmin P. Howard, Frank Howard (boy in front of H.B.H.) Middle Row: Nora Nickles Howard, Walter Trastle, Arie Howard Zellars. 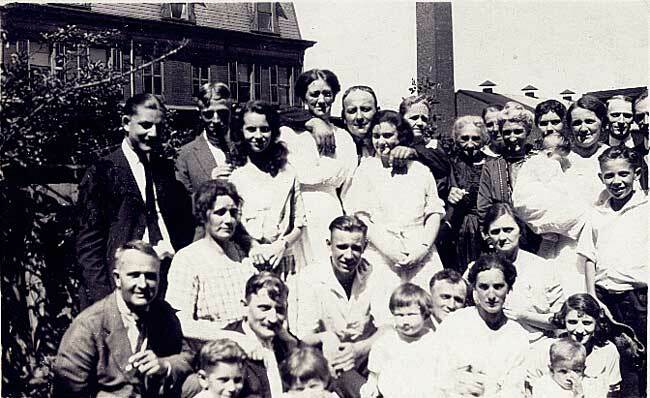 Bottom Row: George Zellers, Edwin Howard (child), Dwight Howard, Sara Howard (child), Jean Howard, Morris Howard, Bertha Howard, Nell Heim, Harry Howard (child) .